When I met Australian interior designer Greg Natale at London’s coolest hotel, The Edition, last month, it was like I’d met my design soul mate. We bonded over the genius of Mies Van Der Rohe, Kelly Wearstler and Jean-Louis Deniot and of our mutual penchant for iconic furniture designs from the likes of Dorothy Draper. He spoke with determination about his plans to take the Natale look international and with excitement of the launch of his upcoming book, The Tailored Interior – with a perfectly suited foreword by designer Jonathan Adler. Here the designer talks the upcoming release, his inspirations and what he’ll never do in an interior. My inspirations come from many areas, particularly fashion, art and travel. I’ve always loved the seductive, timeless tailoring of fashion designers such as Halston and Tom Ford. There are many artists whose work I admire. I’m a fan of English artist Banksy’s graffiti and street art and, on the local front, Australian painter Scott Petrie’s bold splashes of colour and sculptor Dion Horstmans’ plays on light and shadow. Travel remains a constant inspiration for me, and I often find myself gathering ideas on my trips. Some of the designs for my recent rug and carpet collections arose from details I noticed on buildings or footpaths during my travels. Which design creative influenced your style? The late English designer David Hicks and Danish designer Verner Panton have been major influences on my aesthetic, as have Modernist architects such as American Paul Rudolph and the late Australian legend Harry Seidler. 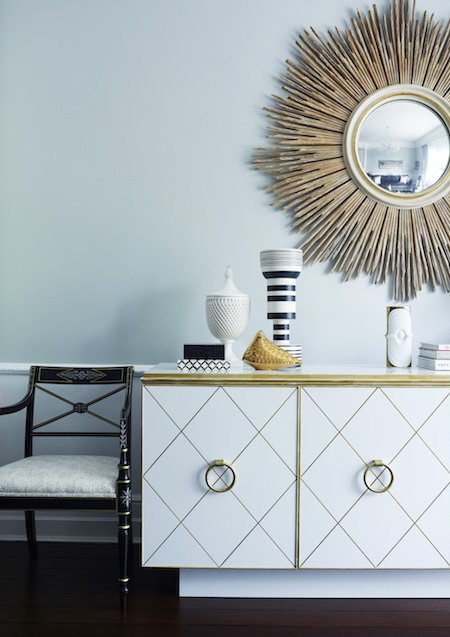 Jonathan Adler and Kelly Wearstler are contemporary inspirations. Can you describe your at-home style? It’s contemporary and tailored, with monochromes featuring strongly, highlighted by pops of pink and metallics. The effect is sophisticated and striking, yet still warm, layered and liveable. It’s my haven. 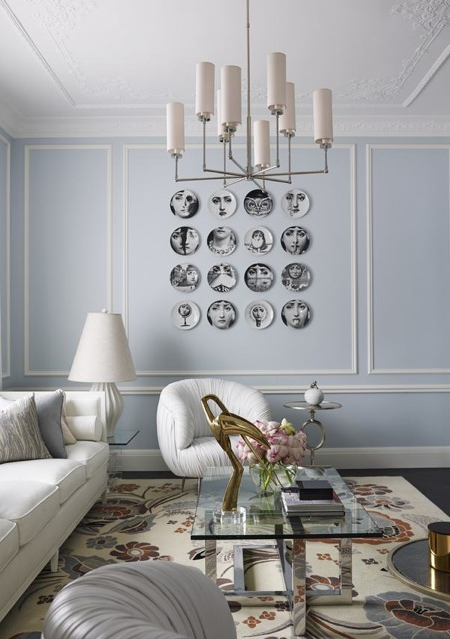 What pieces can’t you live without at home? 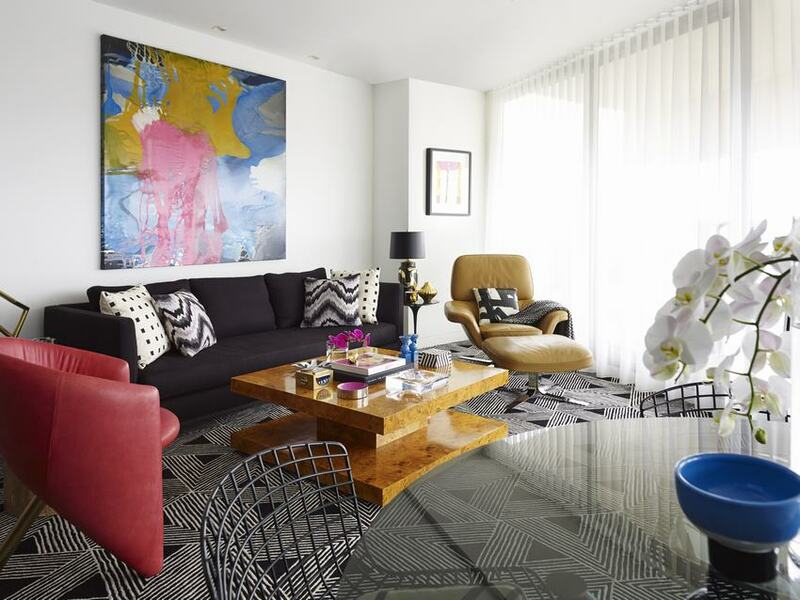 My Minotti sofa and my Jonathan Adler coffee table. 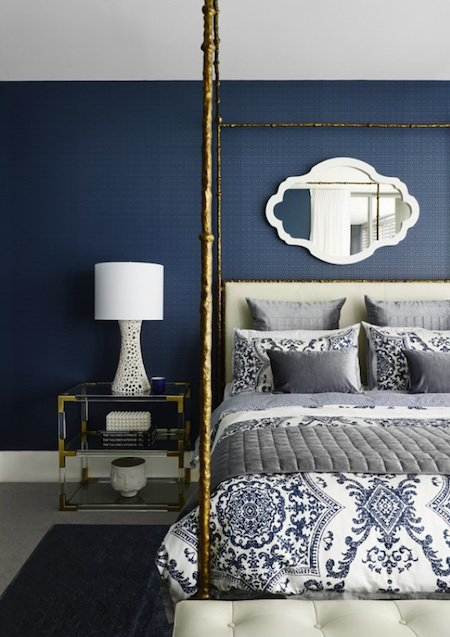 Don’t start with a colour scheme in mind when planning an interior as you could limit your design – colour and pattern should be viewed as tools that add balance, contrast and interest to a room. Do keep large pieces such as sofas and tables neutral and use cushions, throws and accessories to add pops of colour and pattern. Don’t be afraid to fill a space with furniture. Large spaces require sizeable pieces and plenty of them to avoid looking empty and unfriendly. Small spaces still need all the key pieces that make a room liveable, only on a reduced scale. Do use rugs and runners to anchor furniture, create ‘zones’ in open-plan spaces, and add warmth, colour and texture to a room or hallway. I’d have to name two highlights, both from last year. 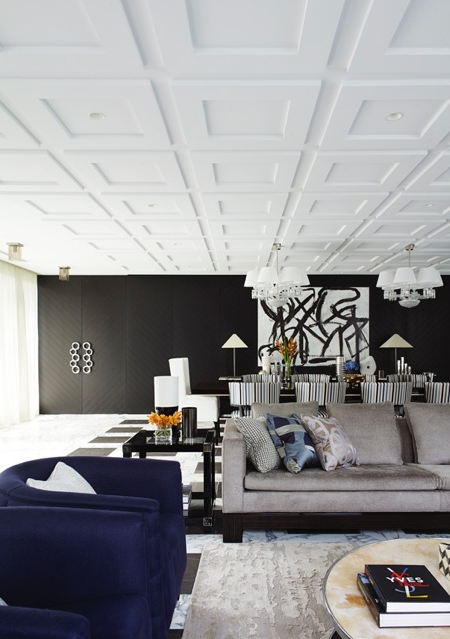 First, being named Interior Designer of the Year at Australia’s 2014 Belle Coco Republic Interior Design Awards, an event co-hosted by Belle magazine and high-end furniture store Coco Republic. Second, publishing my first book, The Tailored Interior, which was released in November 2014 through Hardie Grant. The book is due for publication in the UK and US in September 2015. What should people splurge on for the home? A good sofa – it’s a large piece, it plays such an important role in your house and it’s not something you want to replace too often. A beautifully made sofa will reward you for the time and money you invest in it. What does luxury at home mean to you? Surrounding yourself with the pieces you love that mean something to you. Making sure those pieces connect so that the whole effect is cohesive and inviting. And having the time to enjoy them! using a rug to add warmth, pattern, colour and interest to a room. not putting enough furniture in a room.